You are currently browsing the tag archive for the ‘blocking’ tag. I’m home sick with a cold today. It’s not so bad. Weave in ends. And more ends. 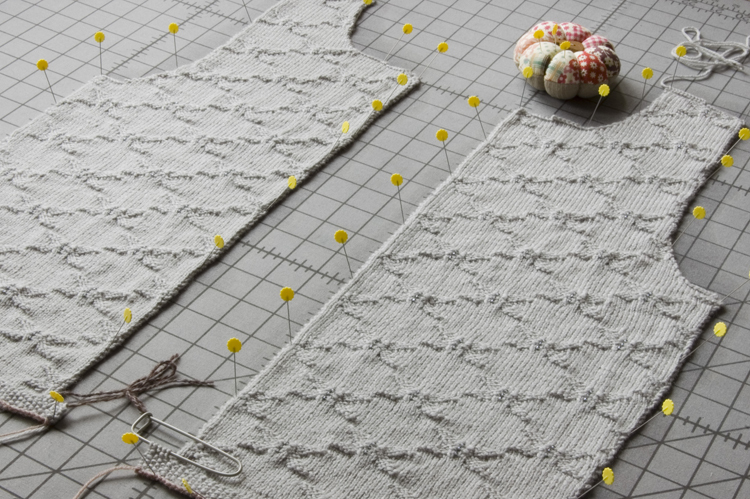 Wash and block the reindeer sweater. Finish the thumb on my left Bella’s mitten. 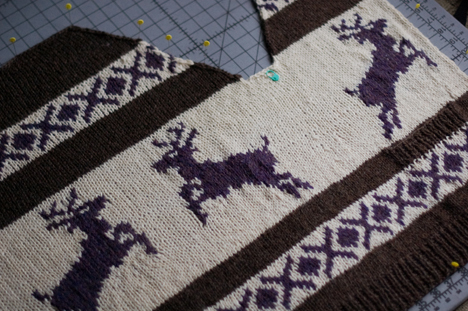 As you can see, the reindeer sweater is nearly done. As soon as I’m better, I’m off to buy a zipper. On a related note, my mom gave me a beautiful *authentic* Cowichan sweater for Christmas. It really is lovely and I’ll try to get a photo of it up here soon. 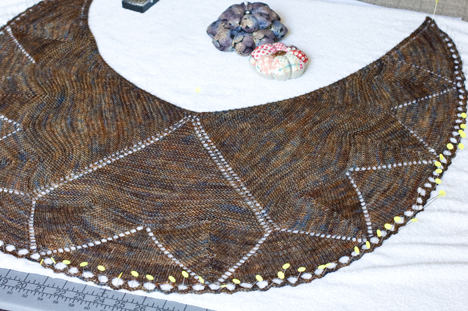 The wedding shrug is blocking. I stole a page from sweetgeorgia‘s book and bought some $5 marker flags at Canadian Tire. Marker flag minus flag = blocking wires! I’m just not prepared to pay $25 for something I can buy at the hardware store instead. I misread the neck shaping instructions, adding about 15 extra rows. Both sides. Oh well, it could be a lot worse, right? 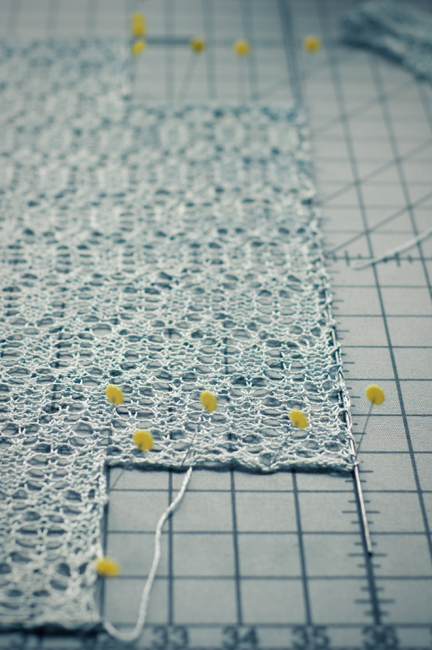 I really need to learn how to do short rows. But, just two sleeves to go. I really hope this turns out. 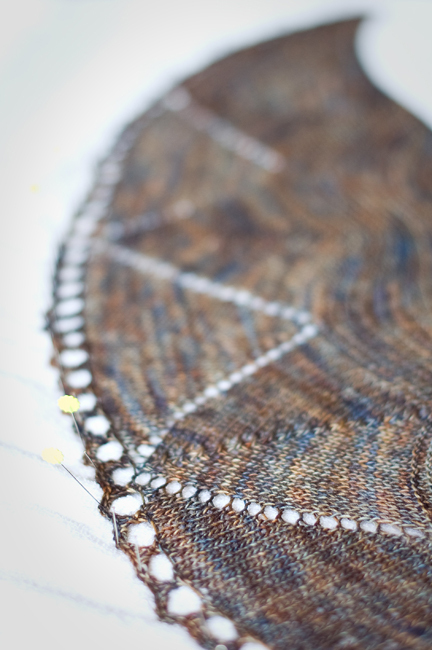 Plus, a little test swatch of the handspun silk and merino. I’ve always appreciated handmade things, but this process has upped the ante. 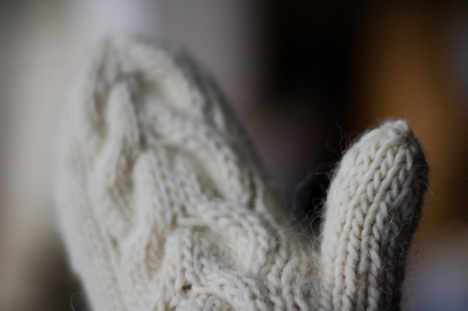 The time and care involved in carding, spinning, dyeing, and knitting is amazing. A woman I once knew was horrified that I bought my clothing in consignment and thrift stores, because she believed that the (potentially negative) energy of the previous owners was still somehow occupying the fibres of the clothes. 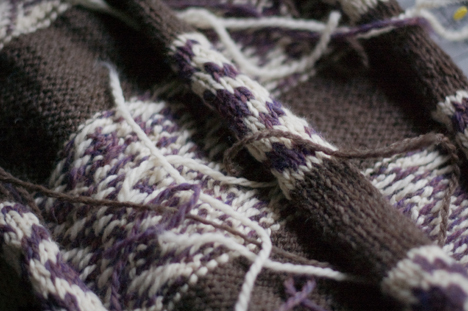 Whatever you think about that, it’s interesting to consider all the energy that goes into handspun and handknit items that makes them so much more special than something from Cheap-Mart…or maybe I’ve just watched Like Water for Chocolate one too many times.